Huang offers a reflective overview of various approaches in current world literature studies and investigates the concept of “worlding” as a becoming process that involves both the spatial and temporal dimension in light of Bakhtin’s theory of dialogism. Huang also discusses the origin and purpose of the city-making narrative in her dialogic reading of Dung Kai-cheung’s half-fictional, half-historical novel Atlas: The Archaeology of an Imaginary City. With a special focus on the performativity of maps, she analyzes the multidimensional interconnectedness among the text, the reader, the author, and the context. 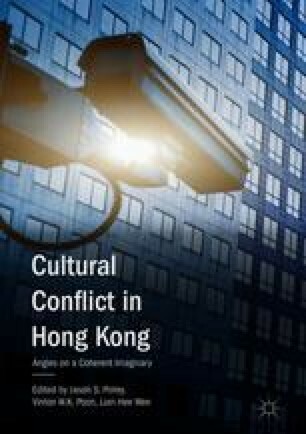 This chapter concludes with the possibilities of worlding the relatively invisible and peripheral Hong Kong literature into an encompassing, heteroglossic, and interactive constellation of world literary works. Lam, Chun-cheung 林準祥. “Hong Kong bushi xianggang? – chongxin jianshi xianggang mingzi de youlai” “Hong Kong 不是香港?–重新檢視香港名字的由來” [“Is ‘Hong Kong’ not Hong Kong? : Revisiting the historical background of the name of Xianggang/Hong Kong”]. Master Insight 灼見名家, November 20, 2015. http://www.master-insight.com/hong-kong-%E4%B8%8D%E6%98%AF%E9%A6%99%E6%B8%AF%EF%BC%9F/. Updated August 27, 2017.